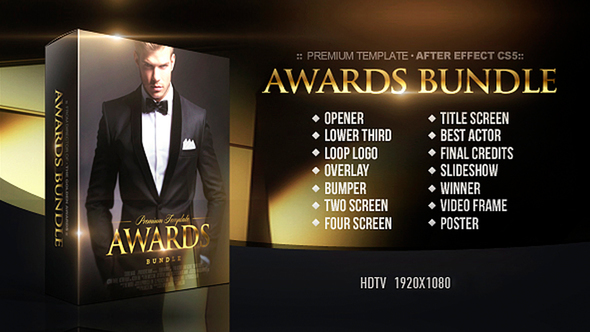 Prerender version Awards Bundle for Adobe After Effect CS6 or higher. This professionally designed project expensive photo-video gallery, with a modular structure and plenty additional comp for you to work with. Impress your client about yourself. This is perfect for your awards, any kind of nomination, wedding movie, slideshow may also be used in the television design or e.t.c.. You just add your images or videos and edit text and its ready for render. Included full video-manual . I hope you enjoy this package and you will find there are a lot of useful.